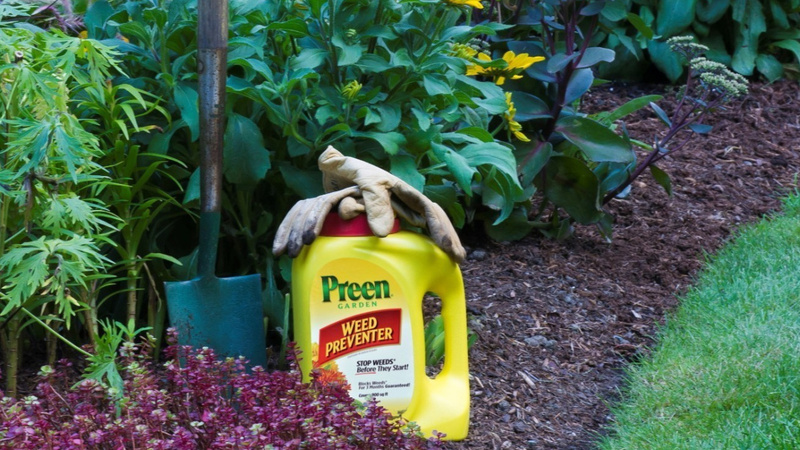 Apply a weed preventer to your flower gardens before mulching. Popular products to use are Preen and organic corn gluten. Spring perennials are arriving and ready to plant! Find creeping phlox, helleborus, thrift, and Veronica to name a few. Early annuals to look for are Forget-Me-Nots, violas, pansies, primrose and ranunculus among others. Mix organic matter into your garden soil before planting. A few options are composted manure, humus and mushroom compost. Now is a good time to plant fruit trees. Check our inventory for a great selection of hardy fruit trees for our area. Remember that fruit trees require two varieties to pollinate properly. 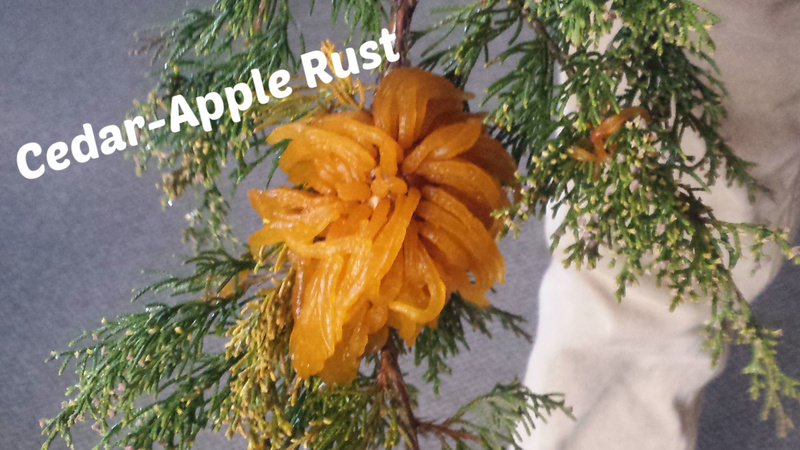 Stop cedar-apple rust on apple, serviceberry, hawthorn and other rosaceous host plants by applying Mancozeb. Be sure to follow label instructions. Newly planted trees and shrubs require some extra attention to watering. 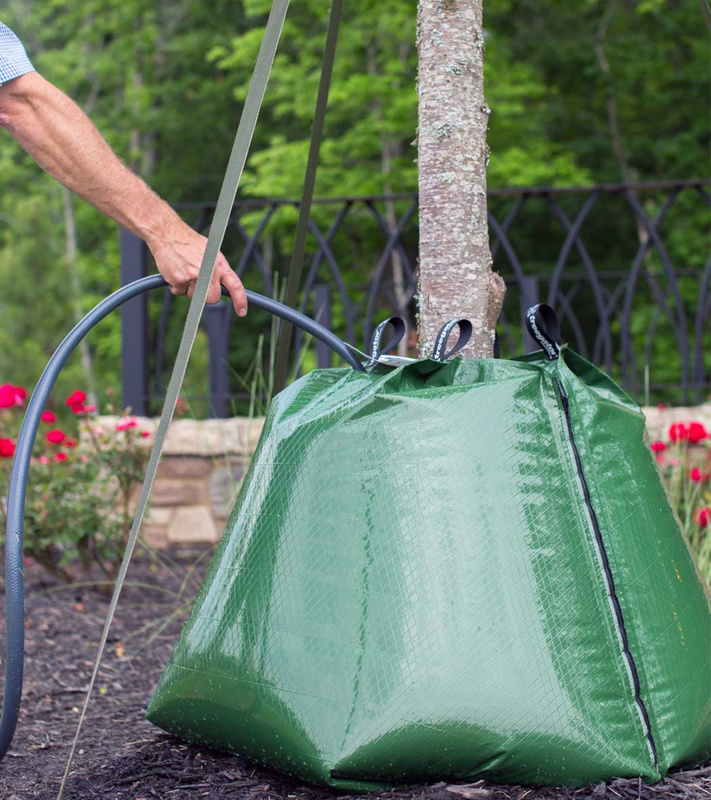 Soaker hoses and Gator Bags are very effective for B&B plants which have denser, more compact soil. Once these are completely saturated, B&B plants might not need to be watered as often as containerized plants. Tent caterpillars can be found in cherries, crabapples and plums. When the caterpillars are small and less than an inch in length, you can spray them with an organic product like Thurcide. It’s only toxic to caterpillars. Boxwood leaf miner and psyllid can be controlled in late April/early May by treating it with Bonide Systemic Insect Spray. Remove dead foliage from your water feature and add floating barley bales to prevent algae. If you have pond plants, fertilize them now with a liquid or pellet fertilizer. If your water needs changed, follow this guide for cleaning out your pond or water feature. Prevent deer from nibbling on your tulips by using Liquid Fence or Bobbex Deer Repellent.